If you asked people to name a major battle event that occurred during World War II you may hear answers like The Battle of the Bulge, The Battle of Stalingrad or The Invasion of Normandy. But, some historians argue that none of these battles had the same impact that the Battle of Kursk did on the outcome of the war. The Daily Beast even refers to this battle as "the most important battle of World War II"
The battle, which was in response to an attack on Stalingrad, used more than a 1.5 million soldiers, 6,000 tanks, and 4,000 planes. The Battle of Kursk is ranked as one of the largest battles of the entire war. Germany's loss of this major battle shifted the balance in favor of the Russians and it's Western Allies, according to History Place. On July 5, 1943, the German army launched an attack from both sides of the Kursk Salient. The plan for this attack occurred in early March, but Hitler opted to wait until July to allow for the production of more weapons, according to History.com. This proved to be a detrimental mistake. The delay allowed Russia to build up their defenses and weaponry. While the Germans had an early advantage, they quickly lost footing in both the north and south parts of the salient. The combination of the huge toll of this battle with an invasion of Sicily (threatening a collapse in Italy) put too much strain on German resources. This battle alone resulted in the loss of 70,000 German men, 3,000 German tanks, and 1,400 German planes. While the Soviet Union's loss was actually slightly higher, they had more resources available to replace what they lost. The German Army did not. 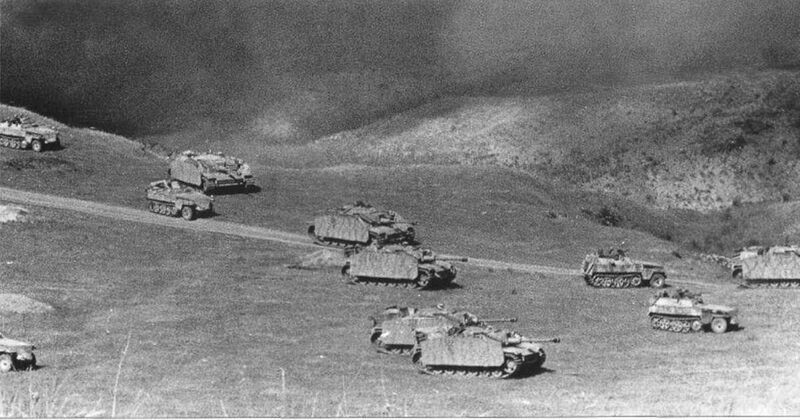 This particular battle marked the last time Germany made a major offensive move on the Eastern front of the war, according to Battle of Kursk. Following battles saw Germany playing offensive against attacks from the Soviet Union. Thanks to an enormous population, the ability to produce more weapons and help from American military aid, Russia proved indestructible against the Germans. The loss was not only devastating for Germany in terms of soldiers and weapons. Hitler's reputation took a major hit among his staff, according to Battle of Kursk. This was likely a contributing factor to Germany's eventual defeat. Germany never fully recovered enough to come back to win the war. In April 1945, The Soviet Union and the Western Allies invaded Germany. Victory in Europe was declared on May 8, 1945. Over the span of the entire war, The Soviet Union lost roughly 7 million soldiers in battle and another 3.6 million in the German POW camps. The Germans lost 4 million soldiers in battle and about 370,000 in Soviet Union Camps, according to National Interest.